Updated requirements for hospitals to maintain their tax-exempt status under Section 501(r) of the Internal Revenue Code are nothing new. They were enacted as part of the Affordable Care Act in 2010. However, at the end of 2014, the IRS issued a final rule (“Final Rule”) interpreting, clarifying and updating these requirements. As we’ve seen before with other enforcement agencies, after passing final regulations, it is expected that the IRS will devote more attention to enforcement and be more exacting when it measures compliance. 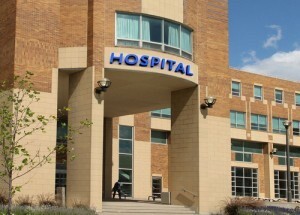 Hospitals will be subject to the Final Rule beginning with tax years starting after December 29, 2015. Prior to such time “reasonable, good faith interpretations” of the 501(r) requirements will suffice, but thereafter strict compliance with the specific terms of the Final Rule, which contain several changes from the proposed rule, will be required. Consequently, now is an opportune time for hospitals to take what is likely to be at least a second look at 501(r) compliance in the last four or five years. Changes to methodologies used to determine “amounts generally billed”, which are the 501(r) imposed limits on the amounts individuals qualifying for financial assistance can be billed for emergency care or other medically necessary care. For more information on these important requirements, contact Chris Raphaely, Nicole Martin, or any member of Cozen O’Connor’s Healthcare law team.